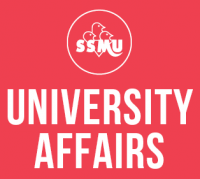 Within the SSMU University Affairs portfolio, advocacy is done for various topics of interest to students, such as improvement to Student Services, academic policy changes, equity and Indigenous affairs, harm reduction, and improvements to teaching and learning, among other things. A lot of advocacy work also involves holding the University accountable to its own commitments and policies. This is done via multiple channels across the University, be it in the McGill Senate, various university committees, the faculty associations, and many meetings with Administrators and other members of the University community. In this section, you’ll find information about how we carry on the advocacy work that we do, tools that will help you get started on your own advocacy project, as well as information about how to get involved. Aside from advocacy work for student-related issues at the University, we also strive to advocate for equity on campus on many fronts. To learn more about the work we do regarding equity, click here.